Yes, that's a possibility. then you can create clips with the programs which ame had suggested, (or also with VLC player). I suppose your PC will ask you where to save (i had chosen that setting on my PC). You can create a folder in advance, and then save the file there. Biker: You mean that ctrl c and then ctrl v would work as well? Then I do not have to download it. I guess that I prefer this then. i think it is best to save the file on your pc. otherwise it will start playing on some player. it may take a long time to get to the point which you are looking for (the videos are 4 hours long). - on the other hand also downloading of videos will take a long time (depends on your connection of course) but you can always do something else while they are downloading. it's not a good idea to play the video and record it as it is playing. the result will be worse in quality than the original. i tried this and noticed that the quality got worse. in a re-re-recorded video the quality is already clearly bad. re-recording only once gave a degradation in quality which Janis noticed at once. it is s good idea to create a folder for the archive videos and keep them there as long you need them. when you have made your videos then you can delete the archive videos. they are big files (some are a few Gigabytes) so even a few tens will fill any disk space. then download and install the Solveig AVItrimmer. open the video file in the trimmer. then you can select the pieces that you want keep from the big file. with Solveig (or any other trimmer i think) the quality of the clips will remain the same as the original. I can not see the mentioned quality loss. The quality is very good, is sufficient. it may be that VLC can record without loss of resolution. with Potplayer the quality decreases clearly. i had to stop using VLC as it could not record the Youtube stream. with the merikotkas it still worked. those were streamed by EENet in some other format. yes it a (small) disadvantage: i use two tools (actually three); for yt live streams, livestreamer and sometimes ffmpeg for other live recordings. ffmpeg also can handle rtmp protocols and starts immediatley recording, while with VLC there is a minimal recorddelay. with all those tools you can choose to record the quality (also 1080p) you desire. Sonchik has used the Potplayer for recording delayed stream from the screen. this was a new discovery for us. i'll copy here our discussions about this procedure. it's good to remember to choose best possible resolution on the screen for the recording. if one uses Potplayer for screen recording then the Y-tube stream must have good quality resolution, the best if possible. it must be HD, otherwise the picture will become 'misty'. ... Here your video also as much as possible is 1080p. if one records live stream with the Potplayer the resolution will be same as in the original transmission. i use the default settings of Potplayer for my recordings. i once tried a higher bitrate than the default 2000 KBytes/s but i didn't notice any improvement in the quality. the files became bigger if i remember right. MKV-format (the default) is best because it is very economical in file size. The problem is that as soon as I include record of the screen, YouTube begins to twist a scrolling wheel - there isn't enough computer power. It is necessary to reduce quality of viewing. As soon as I switch off record, YouTube begins to show well. it's the same problem here. i have to choose to record live stream or screen record. my pc cannot usually do both at the same time. the stream becomes stop & go on both the live and delayed streams. if i can't wait (or am too impatient to wait) to record delayed stream later then i ask husband to record live stream with his computer while i record delayed stream with mine. Now I have to you a question. I still wrote video without soundtrack. And when there was a sound, it has become clear that YouTube spoils a sound. I can't catch what I hear on the computer in record on YouTube. What format of audio it is better to use? Only not the FLAC, it is too heavy. this i didn't quite understand. Youtube spoils the sound, in what way? i haven't chosen any special audio format. i use the default, what is given in each application. are you recording sound with the microphone? then the sound will become bad. it will record all the sounds in the room, tapping on the keyboard, squeaking of the chair, TV or radio in the background, your sneezes, everything. with aTubecatcher i must choose to record sound with Realtek's stereo mix audio device as sound recorder. i also have to turn off all other sources of sounds. the screen recording opens with ctrl-s. it will open a black-framed recording area window. 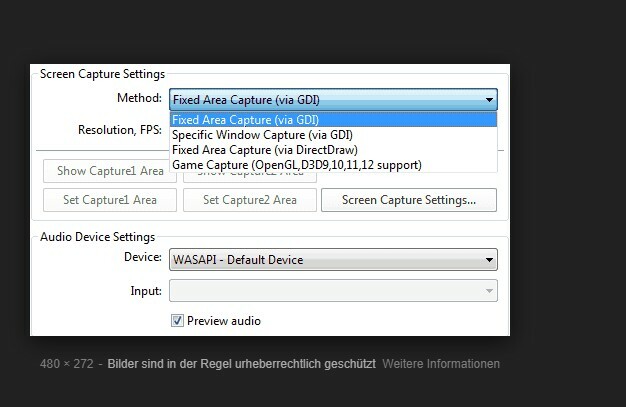 left-click on the frame (the top) and you will be able to drag the window on the screen to a place where you want to record. the window can be resized by moving the mouse pointer to any side or corner of the frame, and then pressing left mouse button and moving the mouse. when the recording window is ready then start recording by clicking Alt-c to open the Video recorder-window. this is the same procedure as in recording live stream after opening the stream. in the Video recorder window you can choose the storage folder and a prefix for the filename. it is a good idea to create a separate folder for the recordings. it is also a good idea to tick the 'Split files'- box, either 'every # minutes' or 'every # mb'. that way the video files will not become enormously big. other settings i have kept unchanged. then click Start on the bottom right and the recording begins and the Rec. time begins to tick. when you are finished click Stop on the bttom right. Ame, I think it's to use like all screen recorders. You will not be able to do anything else when the recorder is running. yes, one has to mute all other sounds from the pc while one is recording the screen. one must also be careful in keeping all unwanted things away from the window which is being recorded. this is the same for Potplayer and aTubecatcher and other screen recorders as well. the advantage in using P-player would be that it can record in MKV. that makes a big difference in file size. the factor of reduction is nearly 2 compared to the WMV-format in which aTubecatcher records. i use variuos player and recording possibilities. VLC player version 3.0.4 Vetinari. 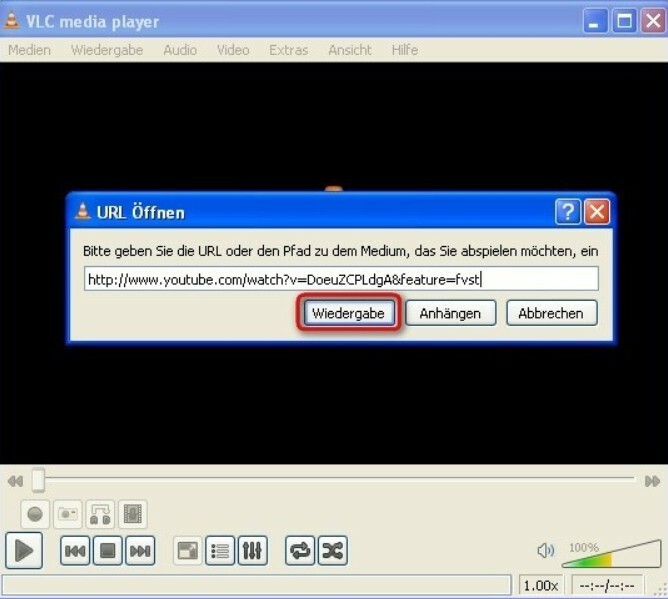 Youtube-Streaming mit VLC.. it's new! 1. Open the YouTube page in your Internet browser and pick a video adress. Then click in the address bar of the browser, mark the complete Internet address and pass them to the clipboard with the key combination "Ctrl-C". Now you can close the browser again. Now switch to "VLC Player" and select "Paste URL from Clipboard" (shortcut "Ctrl-V") in the menu "Media". The just copied address is already inserted here. Click "Play" and the video will play. here you can download for WIN and MAC . The download is virus checked! I see now, that Biker saw it too. i made a quick test with the J-E stream. recording and taking snapshots goes the same way as in the 'old times'. VLC records in MP4 format while Potpalyer records in mkv format. i made 40 s long test videos with both. the mkv-video with Potplayer takes 17.1 MB and the MP4-video by VLC takes 21.5 MB. the difference is not huge if one is not making and saving a lot of videos (P-player wins by 25 % less space needed compared to VLC), but if one saves a lot of videos then the difference is marked. the snapshots are the same size and (apparently) the same, original quality, so there's no difference in that. the P-player has two considerable advantages compared to VLC. first of all one can preset splitting in recording either by choosing time (like 1 hour) or size for the recorded files. the other advantage is that one can take pictures frame by frame. i don't think that either of these is possible with VLC. at least i didn't find these in a quick search. 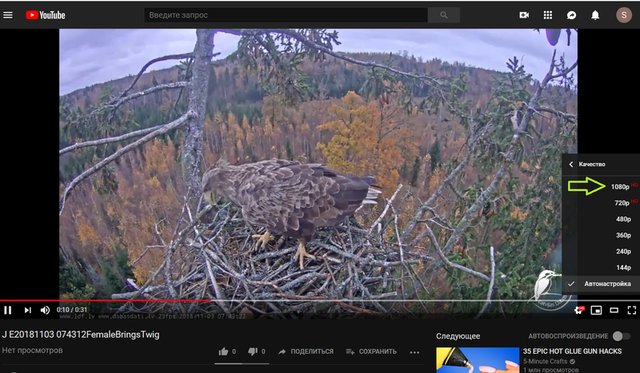 on 10 Jan 2019 Youtube changed its livecamera streaming in some way so that the Potplayer and VLC were not able to 'read' the stream anymore. it took a few days before Sonchik found a version of Potplayer which can do the task. thank you Sonchik!! ... Do you have a version of x64, probably? I tried to solve other problems and acted by this council. I had a version of x64. I established the version x32 and in it the stream opens. the beta version is the third version from the top of the list. i downloaded it and ran it, answering "yes", "agree" and "ok" to every question. and hey presto: the P-player started to work again! 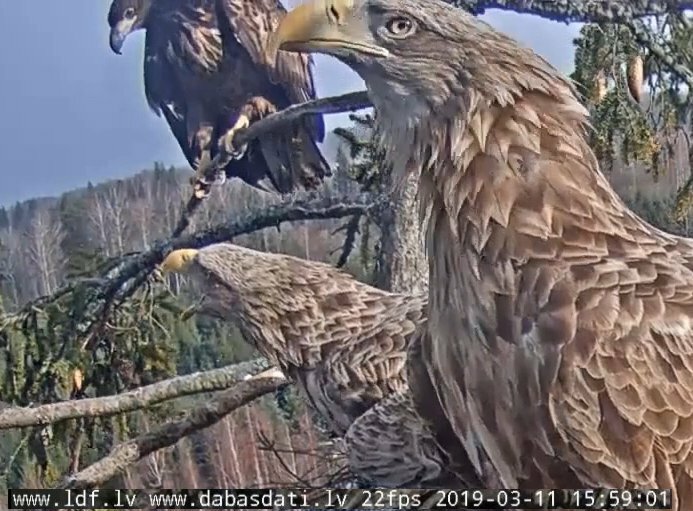 on 11 Jan 2019 Youtube changed its livecamera streaming in some way so that the Potplayer and VLC were not able to 'read' the stream anymore. It was on January 10. BTW.. the same problem with my laptop. It worked until an hour ago. Apparently youtube has installed a bug again to prevent you from using other sources! But now it is the same with the potplayer! In 4 days we solved a problem! For me, if I use potplayer and open at the same time a stream in youtube, then stutter potplayer or the live stream in youtube. That does not happen to me when I use the VLC player. That's why I used the VLC again. Apparently he uses less resources? I dont know. i have begun to suspect that the stuttering of the stream may be partly due to the computer. on my old computer there are more stuttering and breaks than on the new one. partly the stuttering and the white circle rolling around is due to the router. sometimes it helps when i boot the router. did the older version of VLC work? the very old from a few years back could not record the Youtube stream. that is why we needed something new and Liz found the Potplayer. My VLC the player does not record video. Too it can is necessary to download the beta version? It opens the address. There is a stream, it is possible to look. As soon as I press "record", the picture becomes static and nothing occurs. Yes, Potplayer very gluttonous. At me YouTube stammers too if I make entry. Therefore I do not watch YouTube in the afternoon. Liz01, even your application does not help you with YouTube? Potplayer stammers during record if on the computer to do something else. On record there is no it then, usually. If you load the computer too much, the recording will stop at all, along with the computer.